Prevention of global warming has become an issue in recent years, and industry is turning more and more toward stricter energy savings policies and the use of renewable energy. On the consumer end, the selling of Energy Star appliances, the making of energy saving laws, and other measures are being taken to reduce power consumption, and various techniques are being used such as the running of home electronics in energy saving modes. 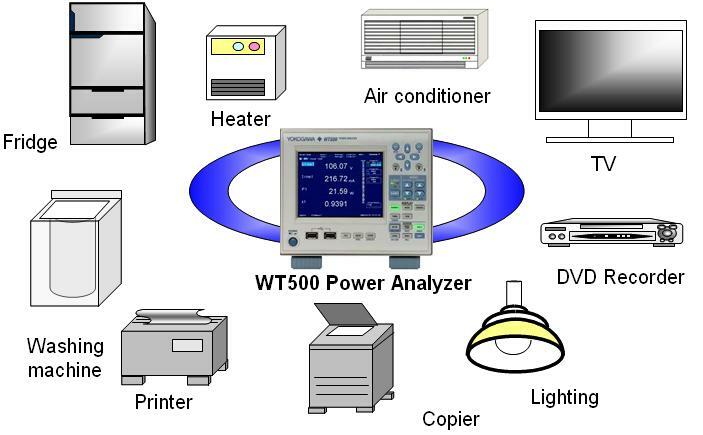 The WT500 can measure such fluctuations in power with unparalelled accuracy. 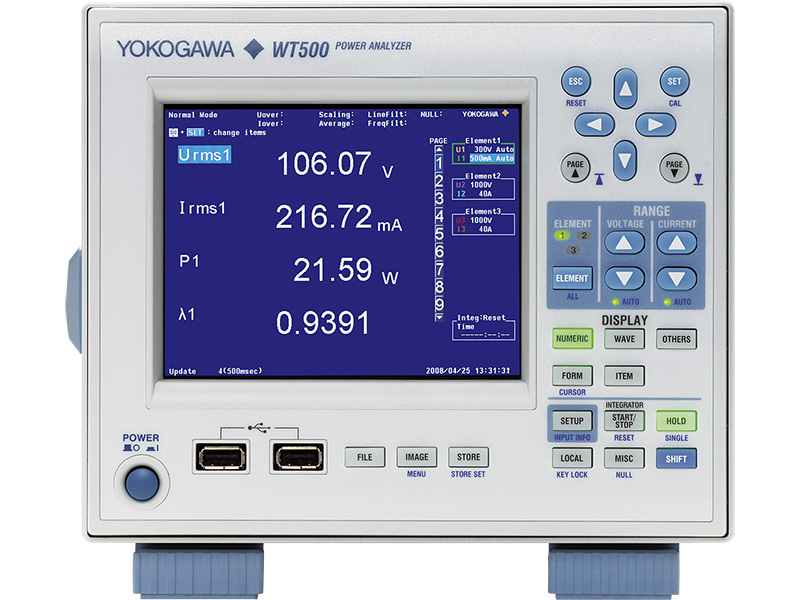 Displays voltage, current, and total harmonic distortion (THD) Displays harmonic components of voltage and current (dc-20th) *Use the WT210 or WT1600 for standby power measurement when the current is around 10 mA or less. RMS, MEAN, DC, AC and RMEAN of voltages and currents simultaneously. 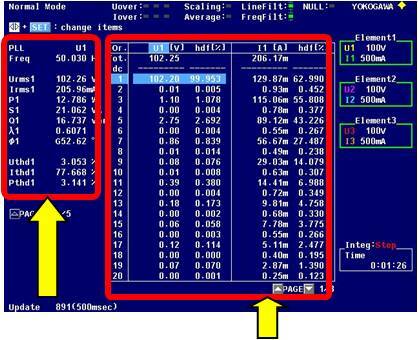 There is no measurement mode on it. Integration of power, reactive power, apparent power, and current enables you to determine a device's average power consumption. 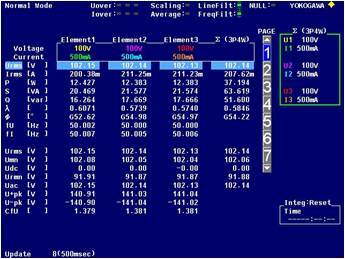 Measurement values can be saved as images or numerical data, and can be pasted into reports, analyzed in spreadsheet software, or used in a variety of other ways.